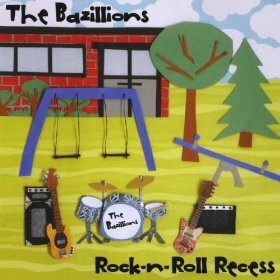 Seriously impressive and seriously slick – US outfit The Bazillions are making the kind of music that is a kinder kid’s equivalent of ‘current affairs’. During the first few tracks of the album I couldn’t help but think the sound was familiar to my adult ears but fresh for kids. Parents, you may liken the The Bazillions to Elvis Costello, The Whitlams, Ice Cream Hands or even a less grungy, kid-appropriate Lemonheads. And while the band has been likened to kindie kings Justin Roberts and Recess Monkey, I think their lyrics and consistently smooth production lets them stand alongside established kids musicians in their own right. Super Sonic Rocket Bike is a standout – what kid doesn’t dream of flying, especially if it can be achieved with a few modifications to the two-wheeler? Tommy Got in Trouble is a clever and relevant song about accidentally breaking the neighbours’ window and the anthem-like ode to Mac’n’Cheese will stick in your mind for days (in a good way!). My picks are Preposition – I’ve never heard a better or more sincere song about grammar and Counting on a Friend – I always like a song that reminds kids about the value of friendships. Rock-n-Roll Recess is available on iTunes for $16.99.